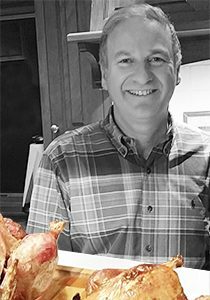 Gerard is a strategic advisor to TasteTro, bringing to the team a wealth of knowledge and insights from 30 years with public and privately held companies in both the housewares and food sectors. Gerard was instrumental in establishing SodaStream into the US market, growing annual revenue from $200k to $200MM. His experiences as President of SodaStream US are directly relevant to TasteTro as both companies have a similar business model and distribution strategy. Prior to SodaStream, Gerard worked in marketing for Kraft, Campbell’s and B&G Foods. Early in his career, Gerard worked in strategy consulting for the Boston Consulting Group. Gerard holds an MBA from Harvard and a BS Economics from Wharton. He is a dynamic business leader who is very passionate about bringing new innovations to the market that create a spark with consumers.